Is Hacking Kinect Okay? – Girl Gamer, Esq. Since going on sale in early November, most gaming magazines have focused on reviewing Microsoft’s controller-free motion-capture interface as it relates to the games released for the XBox 360. Less covered are the ongoing efforts of those dedicated nerds to unravel the strings of code that allow the device to interact with the console, so they can repurpose their Kinect controllers for non-sanctioned uses. Much more attention was given to those people attempting to crack their iPhones, which might suggest that reporters think more people care about using cell phones than an expensive console accessory, even one attached to a local company. 1) Is this use prohibited by Copyright law? 2) Is this use barred by the Terms of Service? Most Assuredly. In one of the articles linked above, a Microsoft spokesperson is quoted as saying that the company would not “condone the modification of its products and that it would work closely with law enforcement and product safety groups to keep Kinect tamper-resistant.” This is in keeping with most companies who have restrictive Terms of Service in order to “control the user’s experience,” in part for their own protection. 3) Even if against the rules, should this use be allowed? Yes. Very yes. I also firmly believe that as long as the information is not used maliciously, information should be shared and used to promote innovation. The DMCA also allows researchers an exception in their investigation of new technology, and permits copyright holders to go after infringers or not, as with other copyright violations. Reverse engineering to figure out new technology is generally accepted as a learning tool within the computer programming community. 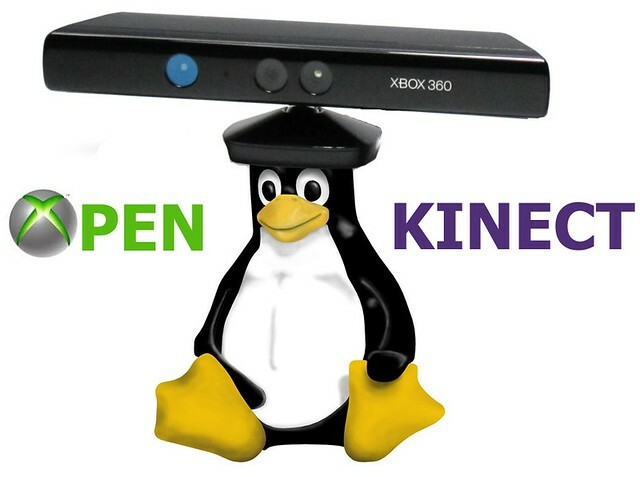 What’s more, less than two weeks after the above quotes from Microsoft spokespeople, the company appears to have softened their stance towards having users operate Kinect with open source software. This is fairly smart on Microsoft’s part, as their customer base is generally made up of the very people that are passionate about their products, and interested in doing geeky things with them. Learning from the music industry’s mistakes, Microsoft does not look like they will be going after students, engineers, researchers, and end users who each bought the product in order to allow other users to do cool things with their new toy. Going back to the risk analysis from last week’s workshop, if the first question is “Will the Copyright holder find out about what I am doing?” the second question is “Even if they find out, will the Copyright holder care?” (And what’s the worst that could happen?) Even if what these engineers are doing is against the literal text of the Copyright Act, and even if Microsoft seemed poised to clamp down hard on all the research and information sharing that was going on, it looks like Microsoft, the Copyright holder, does not care if users allow Kinect to operate open source, on various platforms. Microsoft can still go after these people, and probably will if they start publishing how to create a Kinect-like device for less than $150, but the research and collaboration shown by the engineering community is, for now, an unofficially authorized use of Kinect. Actually, at the beginning of this post I misspoke about how much coverage there has already been about the Open Kinect bounty. BBC News , NPR, Wired, Ars Technica, the EFF, and other online sources have already written about it at length, making this comment really nothing more than a brief look at some of the legal views underlying the potential viewpoints of those involved.